Add 0.50" pitch dia to get overall sprocket diameter. Subtract 0.50" from pitch dia to get flange diameter. Stock Bore Notations: NB= no bore, CB = core bore, MPB = Min Plain bore. Teeth can be machined on most sprockets to fit modified belts. 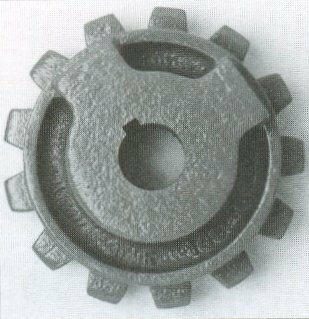 Hvy Duty sprockets must be used on heavy duty belts only due the tooth height/belt height. Std duty sprockets must be used on std duty belts only due to the tooth height/belt thickness. Flangeless Sprockets in steel available in 6" and 8" diameters. Add 0375 inches to pitch diameter to get overall sprocket diameter. Subtract 0.375" from pitch Diameter to get Flange Diameter. 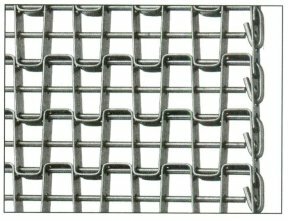 Galvanized C-1015 Low Carbon Steel: low cost, some rust resistance, operates in temps up to 500 deg f, but at 350 deg galvanized flaking will occur. 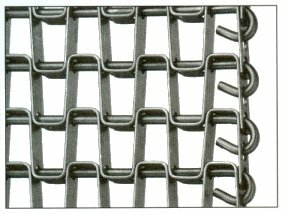 High Carbon Steel C-1045: Temps of 350 to 800 Deg F, greater abrasion resistance than galv. 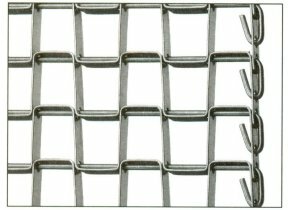 316 Stainless Steel: More resistant than 304 in sulfuric, acetic and phosphoric acids. 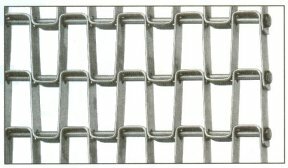 Greater resistance to corossion than 304 ss. 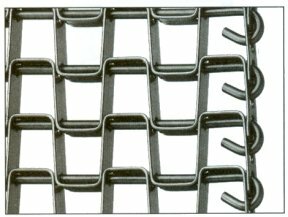 Audubon's Metal Flatwire Conveyor Belts provide an open mesh for easy drainage and flow of air, gases or liquids through the belt and around the product. 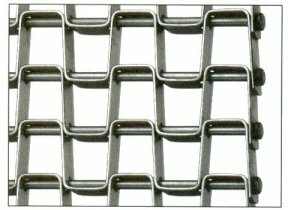 This enables easy belt cleaning. 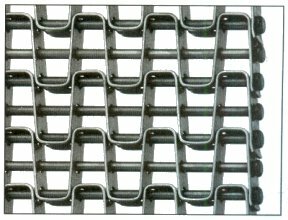 Flat Wire Conveyor Belts / Honeycomb Conveyor Belts are economical with a long life and smooth operation. 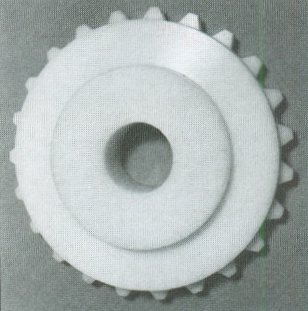 Suitable for friction or sprocket drive. 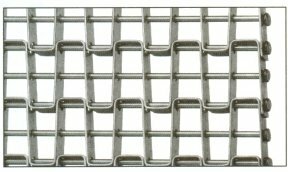 Features include flat surface, easily cleanable, endless splicing, positive sprocket drive, easy to replace a section that is damaged or worn down, open for drainage and air circulation. 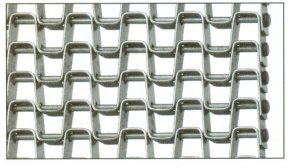 They are used in Food processing, Canning, Baking, Freezing, Agricultural applications, Farming, Weed Harvesting, as well as Parts Washing, Drying, Cleaning, Painting, Transferring; also used as Matting and Drag Mats. 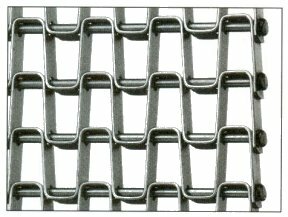 When selecting a flat wire belt, please consider the product size and the weight of the load. 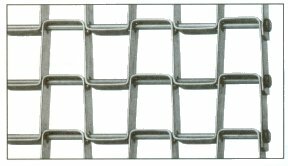 Standard duty is sufficient for most applications, whereas Heavy Duty provides extra long life, heavy load capacity and for tougher conditions. 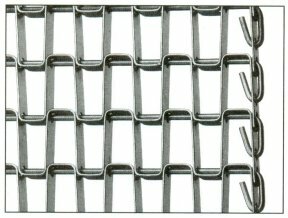 Available in the following openings: 1/2" x 1/2", 1/2 x 1", 1 x 1"